Creative has announced the arrival of its latest MP3 player – the Android-toting Creative Zen Touch 2. 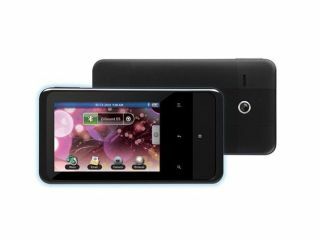 The Zen Touch 2 was announced alongside the company's ZiiO Android tablets and uses Android 2.1 to power the OS. Now, we know what you are thinking – one look at a picture of the Zen Touch 2 and it looks remarkably like a phone. It even has GPS, Bluetooth, an accelerometer, FM radio, and a microSD card slot but it hasn't got 3G connectivity or any other phone gubbins so you would look like a plank if you tried to make a call on it. It is a pretty useful PMP, though, which has been coupled with a web browser and a 2MP camera. The Creative Zen Touch 2 has a UK release date of December with pricing as follows: £149.99 (8GB with GPS), £159.99 (8GB with GPS or 16GB without GPS). Creative has also announced it is bringing a new pair of Bluetooth headphones to market. The Creative WP-300 Bluetooth headphones are apt-X codec enabled, have a range of 10 metres, use Neodymium drivers and are said to be lightweight. Price-wise, these will be available for £89.99. Finally, Creative also showed off its new wireless audio surround sound system. Called the Creative ZiiSound T6, the setup is Bluetooth compatible uses Creative's proprietary apt-X technologies and can be made into 5.1 surround via a wired USB connection. The ZiiSound T6 has a UK release date of December and will retail at £349.99.